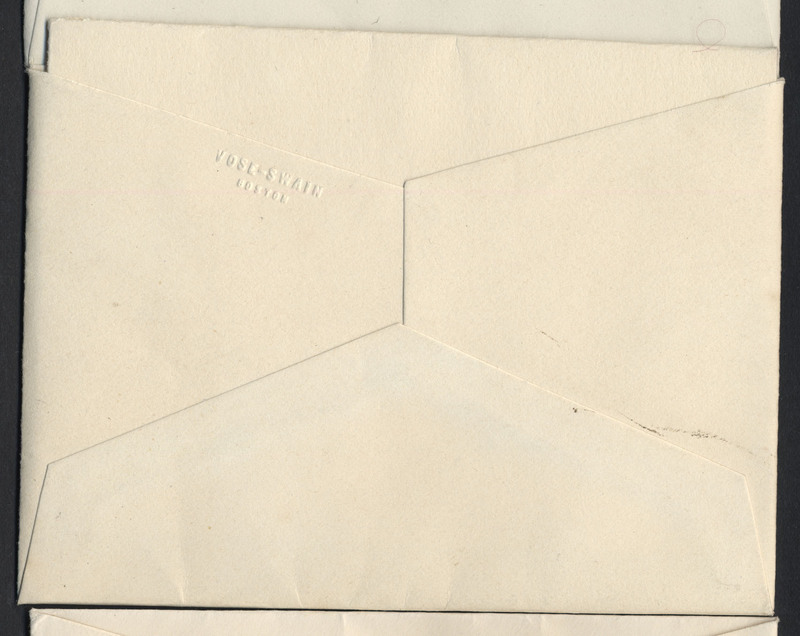 A folded invitation with printed black text, within an envelope which is affixed to a page of the scrapbook. Unfolded: 19 by 13 cm. 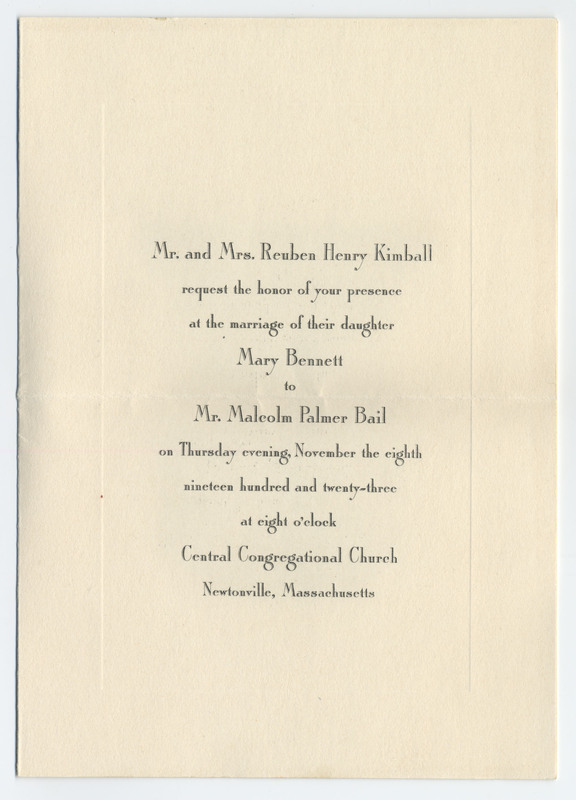 The invitation requests, on behalf of Mr. and Mrs. Reuben Henry Kimball, the presence of the recipient at the marriage of Mary Bennett to Mr. Malcolm Palmer Bail, on Thursday evening, November 8, 1923 at eight o'clock, at the Central Congregational Church in Newtonville, Massachusetts. 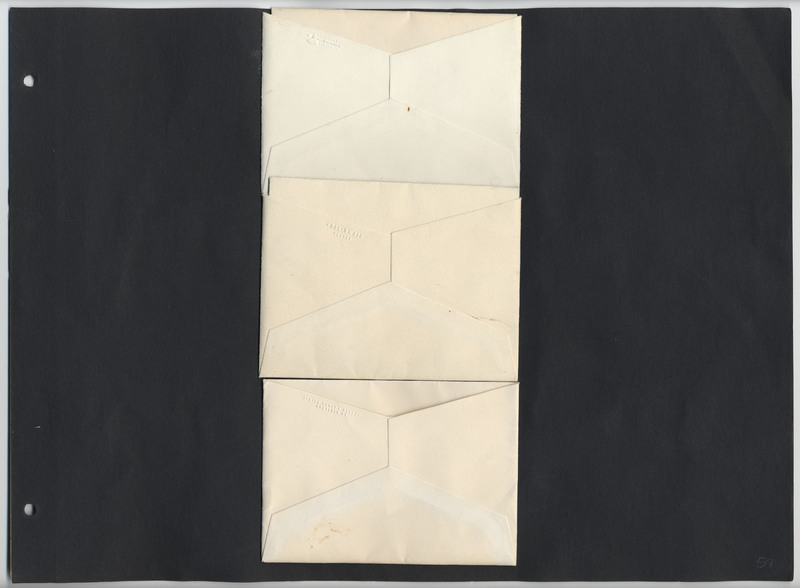 Kimball, Reuben Henry, “Invitation to the marriage of Mary Bennett and Malcolm Palmer Bail,” The Ruth D. Gates Digital Scrapbook, accessed April 19, 2019, https://slis.simmons.edu/ruthgates/items/show/435.